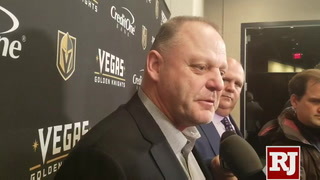 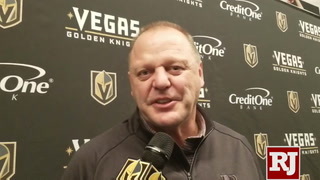 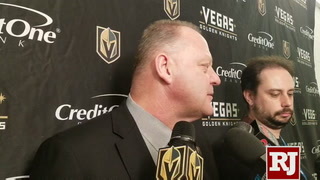 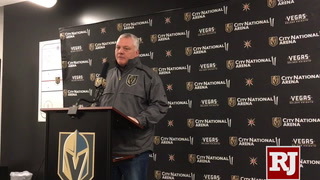 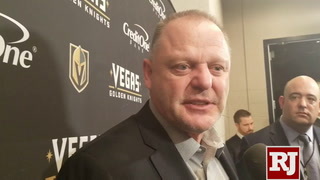 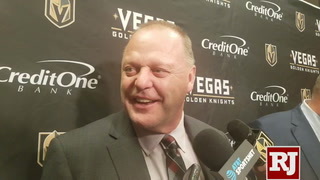 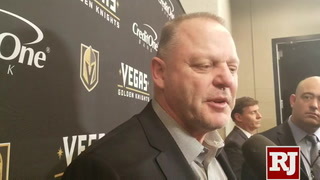 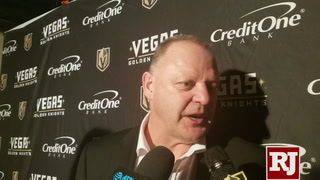 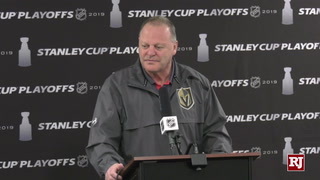 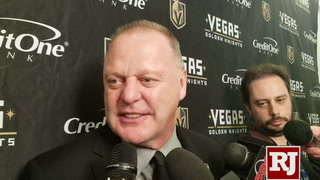 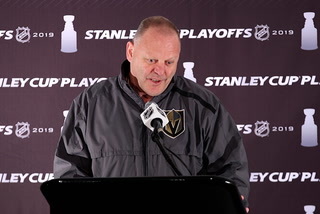 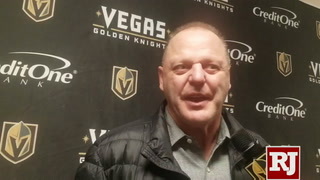 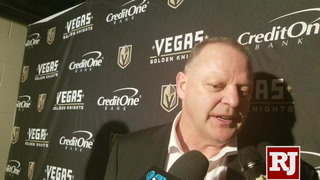 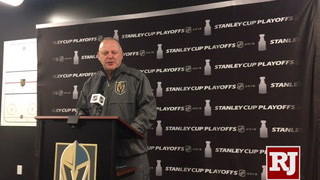 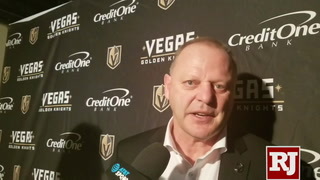 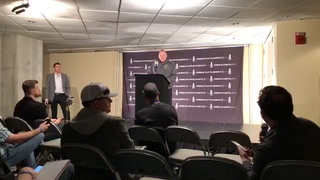 Golden Knights coach Gerard Gallant often preaches his philosophy of not thinking about the past or future beyond the next period or the next game. 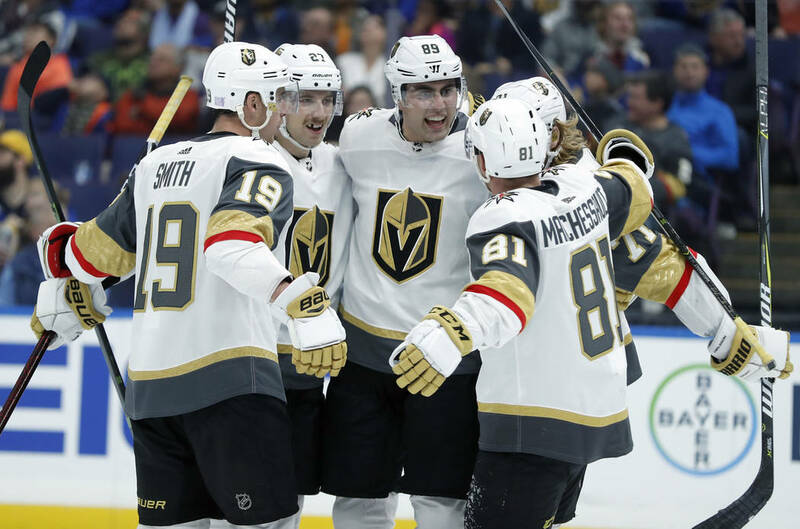 It was a lesson forward Alex Tuch learned long before he played for Gallant. 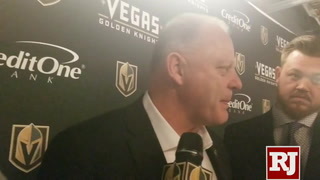 Wing Alex Tuch is all in on coach Gerard Gallant’s philosophy of not thinking too far ahead. 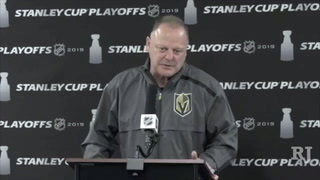 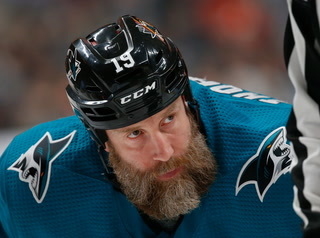 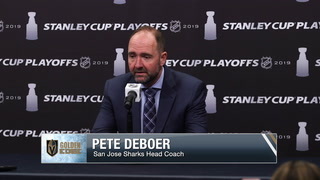 One game, one period, one shift at a time, the coach often says. 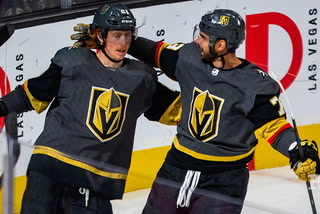 The wisdom has proven beneficial for Tuch, who has been one of the bright spots in the Knights’ disappointing start. 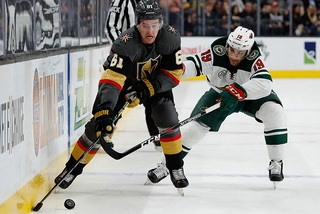 Tuch, 22, was rewarded with a lucrative long-term deal early this season and has four goals and nine points in 10 games since returning from an injury that delayed his start. 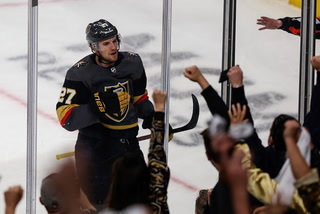 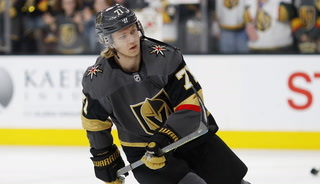 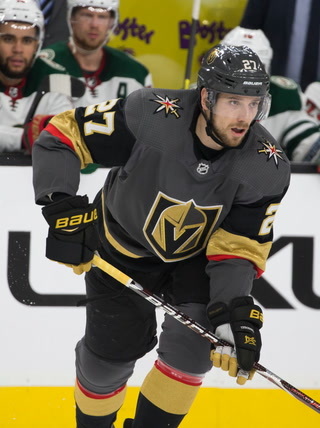 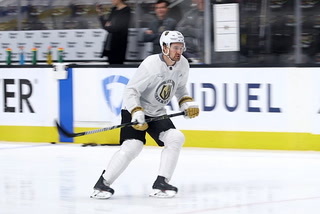 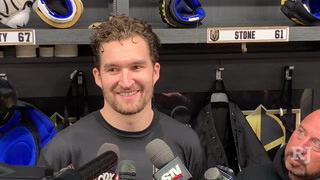 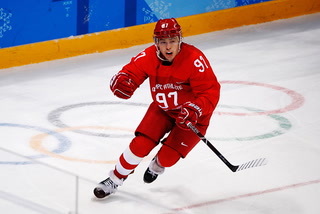 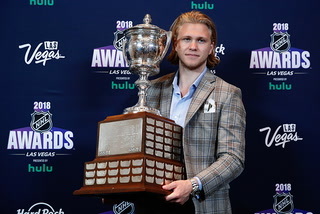 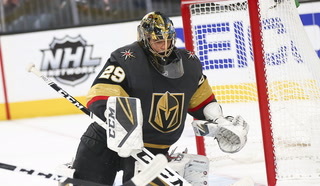 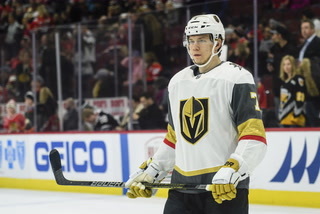 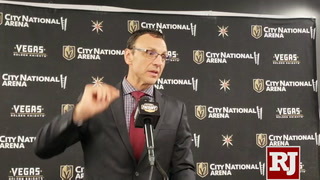 He’s tied with Jonathan Marchessault for the team lead with a plus-3 rating. 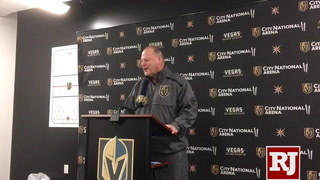 “Signing that big deal gives me security, but it also allows me to think about team success first over my own,” Tuch said. 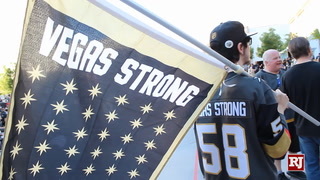 The Knights are still waiting on that, but Tuch believes they have the right attitude. 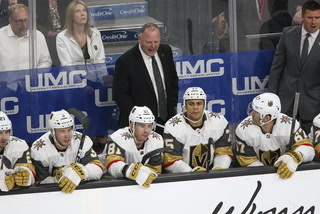 The same leadership group that helped show Tuch the ropes last season is still largely in place and Tuch feels that will help spark a turnaround. 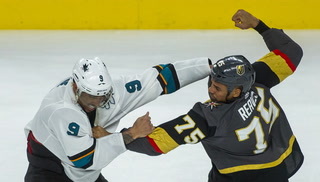 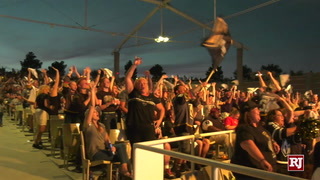 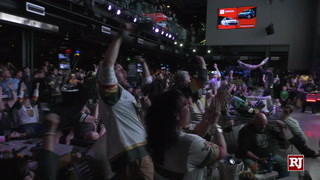 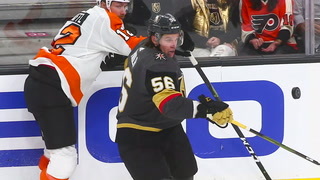 Forward Ryan Reaves has seen frustration doom a team before, but he doesn’t see it creeping in to the Knights’ locker room. 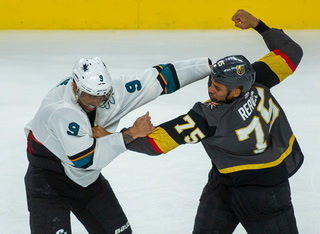 Reaves played for the 2013-14 St. Louis Blues, a team that was competing for the President’s Trophy until it lost its last six games. 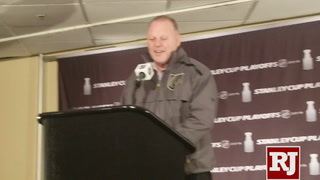 Irritation spilled over into the playoffs, where the Blues lost to the Blackhawks in the first round. 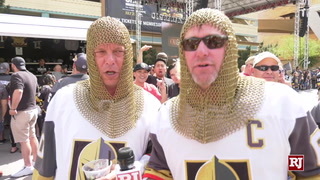 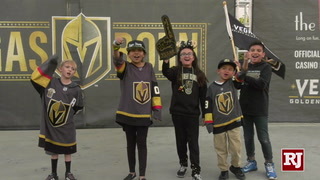 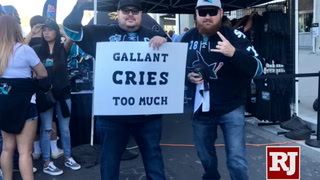 NBC Sports Network will tape its show “NHL Live” outside of T-Mobile Arena at 4 p.m. Wednesday with host Kathryn Tappen, insider Darren Dreger and analysts Jeremy Roenick and Keith Jones. 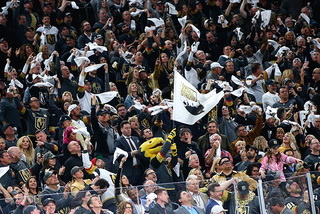 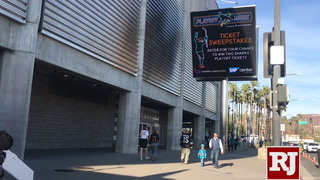 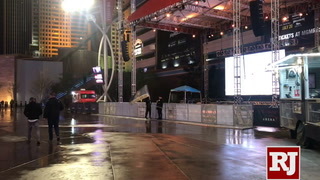 Contact Ben Gotz at bgotz@reviewjournal.com. 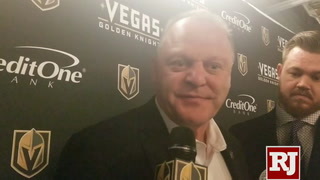 Follow @BenSGotz on Twitter. 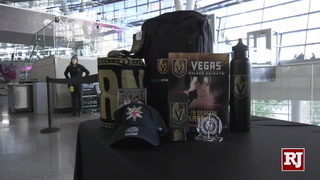 Contact Adam Hill at ahill@reviewjournal.com or 702-277-8028. 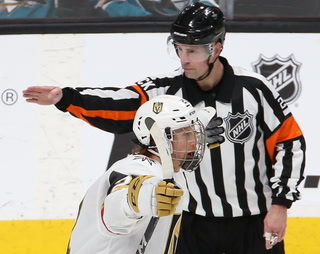 Follow @AdamHillLVRJ on Twitter.